Fisherman drying cod in St. Johns, Newfoundland, c. 1900. I’ve posted before about the CBC Ideas Podcast, a series I discovered when they devoted two episodes to the Icelandic sagas. I hope they do more of those, but in the meantime I’ve listened to some very good episodes. One of the latest covers a topic near to my heart: historical fiction. Crummey, a native of Newfoundland on the Atlantic coast of Canada, considers several novels that purport to be historical but mangle the time and place in which they take place, and presents his own approach to some of his own writing. How much, he asks, does the historical novelist owe the past? How far should the historical novelist go in massaging history to make a compelling story? 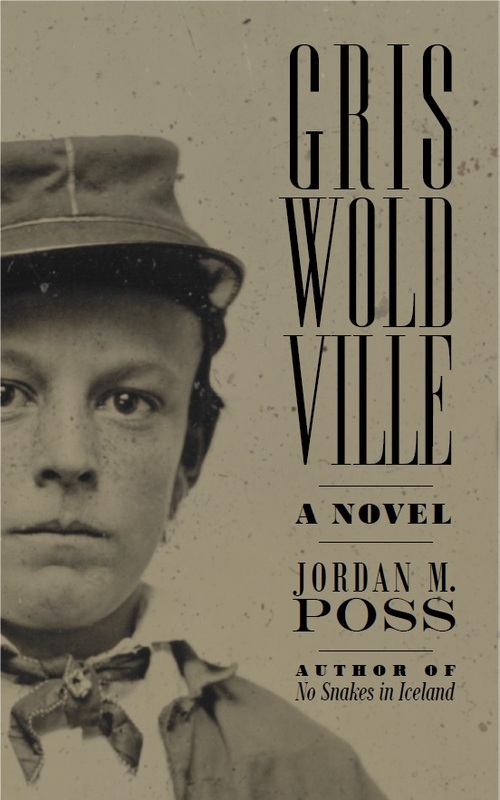 These are questions I’ve been thinking about for years and, with Griswoldville freshly released and still very much on my mind, I appreciated Crummey’s sensitive and thoughtful discussion, especially as it applied to accurately depicting a specific place and authentically evoking another time. Place and time are, of course, connected, since the past itself is a foreign country. I’ve embedded Crummey’s talk in the post, above. It’s well worth your while to listen to! And do check him out on Goodreads. I’ll be looking for some of his work. River Thieves sounds particularly interesting. The New York Times as a fun, interesting Q&A with Jerry Seinfeld to promote the latest season of Comedians in Cars Getting Coffee. It's short and worth reading for its own sake, but I wanted to draw attention to this passage. New York Times: You turned down an offer from NBC of $5 million an episode to do one more season of “Seinfeld.” Nobody in TV has ever made even close to that money before or since. Did you ever second-guess that decision? Jerry Seinfeld: No. It was the perfect moment, and the proof that it was the right moment is the number of questions you’re still asking me about it. The most important word in art is “proportion.” How much? How long is this joke going to be? How many words? How many minutes? And getting that right is what makes it art or what makes it mediocre. That's dynamite artistic advice right in the middle of his answer. Proportion. No matter what your field or medium, proportion is key. He's absolutely right and, as he points out, his show has the legacy to prove it. Consider my own favorite sitcom, The Office, which outlasted its best material by several years. What was funny in small doses early on dominated the show by the middle of its run and could only get wilder in its quest for more laughs, with diminishing returns. By season six, the characters were wildly out of proportion, Flanderized caricatures, and the plots spent disproportionate time on ludicrous side stories. And it lasted another three seasons. Seinfeld's insight jibes with something I read long, long ago and have returned to many times to guide and correct my own work. In explaining Dante's art in constructing the Comedy, translator John Ciardi wrote that "Poetry is, among other things, the art of knowing what to leave out." Throwing in the kitchen sink, stuffing your work, can be the equivalent of white noise unless you have a good sense of proportion. It's hard to think of a literary locale more crowded than Dante's hell, but thanks to his gift of proportion you never lose sight of his purpose as an artist. Like Dante—like Seinfeld—have to develop a good sensibility of what does and doesn't belong. See also "Omit needless words" and "Murder your darlings." And of course, art being art, there are always good reasons to violate these rules—again, in the interest of maintaining proportion. To give Orwell the last word on this topic: "Break any of these rules sooner than say anything barbarous." Don't let even grammar throw you out of proportion. Our generation professes to be scientific and particular about the things it says; but unfortunately it is never scientific and particular about the words in which it says them. It is difficult to believe that people who are obviously careless about language can really be very careful about anything else. If an astronomer is careless about words, one cannot help fancying that he may be careless about stars. If a botanist is vague about words, he may be vague about plants. The modern man, regarding himself as a second Adam, has undertaken to give all the creatures new names; and when we discover that he is silly about the names, the thought will cross our minds that he may be silly about the creatures. And never before, I should imagine, in the intellectual history of the world have words been used with so idiotic an indifference to their actual meaning. A word has no loyalty; it can be betrayed into any service or twisted to any treason. Chesterton goes on to give examples, 110 years old now, of one of my least favorite moves in the political rhetoric playbook: claiming one's position is the truer form of one's opponents' position, e.g. this recent op-ed asserting that supporting abortion is more pro-life than opposing it. This is surely an iteration of "no true Scotsman," but if it's been named I'm unaware of it. "Of all the expressions of our current indifference to the meaning of the words," Chesterton writes later, "I think that the most irritating is this cool substitution of one kind of definition for another." That, as it happens, does have a name. "Mr. Campbell has excellent brains," Chesterton continues, "but thinks it more advanced and modern not to use them. . . . He is guided in his choice of phrases by mere aimless sentimentalism." We cheat ourselves when we cheat with our language. We were made for finer things. Our minds are precision instruments. Now, it is clear that the decline of a language must ultimately have political and economic causes: it is not due simply to the bad influence of this or that individual writer. But an effect can become a cause, reinforcing the original cause and producing the same effect in an intensified form, and so on indefinitely. A man may take to drink because he feels himself to be a failure, and then fail all the more completely because he drinks. It is rather the same thing that is happening to the English language. It becomes ugly and inaccurate because our thoughts are foolish, but the slovenliness of our language makes it easier for us to have foolish thoughts. Slovenliness is a good word for it. Not chaos, not anarchy, but an utter "you know what I mean" indifference to good order–a linguistic dorm room. A pervasive slovenliness degrades not just political discourse but all communication today. I'm not talking about emojis, slang, and memes, but rather the intellectual path of least resistance onto which all of us route our thoughts, "gumming together long strips of words which have already been set in order by someone else, and making the results presentable by sheer humbug." The appeal, Orwell writes, is that this mode of communication, this way of thinking, is easy. But will it lead us to truth? Quick: What is the difference between a country and a nation? Between enhanced interrogation and torture? Between racism, prejudice, and bigotry? Between faith and a faith? What is love? What is violence? What does the word free mean in free speech, free country, free love, free will, free with any purchase? Last week I had the pleasure of joining Aaron, Tombstone, and Just Jeff for two segments of their Front Porch Show, the weekly podcast about everything. Click through to listen at their website, or one of the several podcasting services they air on including Spotify and iTunes, or see the embedded Stitcher link below. 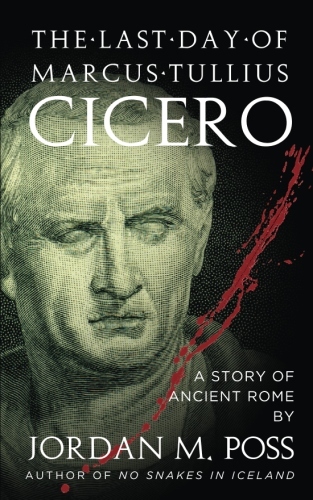 We talked about historical movies—what makes them good, what makes them bad—my books, and especially what the life and death of Cicero can teach us about virtue in politics today (with all due caution, of course). Had a great time. Thanks for having me on the show! Goodness never looks so good as it does when contrasted with evil. I think this is, at least in part, why we respond so strongly to self-sacrifice, heroism, and love in terrible circumstances. This is a week of anniversaries. 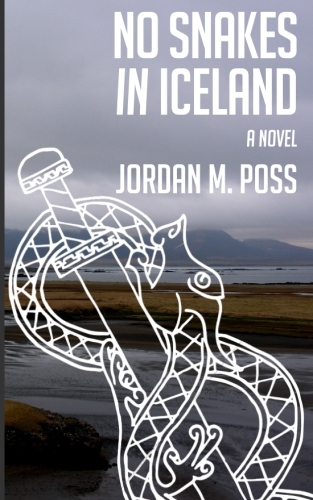 Ten years ago Wednesday I completed the rough draft of No Snakes in Iceland, my first published novel. Two years ago today, No Snakes in Iceland appeared for sale on Amazon. I'm still inexpressibly grateful for all those who helped me along the way, particularly those like my wife, Sarah, who encouraged me to get the book into a finalized form, to make it available, and to do so quickly. 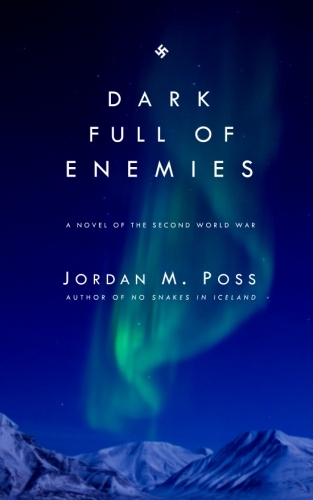 I'm also thankful for my readers, especially those who took the time to critique the book when it wasn't finished and those who have so generously reviewed it online since it came out. I appreciate you all; you've all been party to this blessing. So, two years snake-free in Iceland! Have you read the book yet? If so, what did you think? If not, why not get a copy today? John J. Miller, who teaches journalism at Hillsdale College and hosts the excellent Bookmonger and Great Books podcasts, offers five pieces of writing advice inspired by great advice from other writers. Be sure to follow Miller's links to Elmore Leonard's ten rules for writing and the great Orwell essay "Politics and the English Language," which is always worth a read. Orwell's final piece of advice is crucial.